3 HEAT PROTECTION. 4 SILKINESS & SMOOTHNESS. 5 HAIR COLOR PROTECTION / WITH UVA & UVB FILTERS. 6 EASIER BRUSHING & IRONING. 7 INCREDIBLE DETANGLING. 8 LONG-LASTING HAIRSTYLE. 9 SPLIT ENDS PREVENTION. It also smooths and seals the hair cuticles, giving off an incredible shine! Free from ammonia formula. 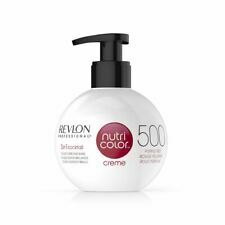 Revlon Nutri Colour 3 in 1 Cocktail BALL 270ml. 1002 White Platinum. Get ready to refresh any Revlon Professional shade or create fantasy colors in fun, creative styles using our latest color techniques. Hair is smoother, silkier and healthier with an intense shine. UniqONE works to This spray can be used on wet or dry hair and gives you beautiful hair with renewed shine, health and improved texture. Revlon Uniq One. Part of a wholesale pallet, slight creases to the outer box, contents in perfect condition. Trying is believing. Long lasting Hairstyle. Easier brushing and ironing. Colour Protects with UV filters. Hair is smoother, silkier, healthier with an intense shine and a fresh and pure fragrance of Lotus Flower. For supple, flexible and well-defined curls. 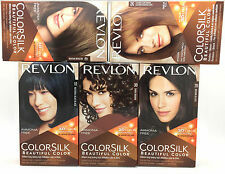 Marke Revlon. Produktart Shampoo. Apply to damp hair. Rinse thoroughly. Größe 201-300 ml. Maßeinheit 100 ml. The upper phase cares for and protects the external part of the hair. The lower phase revitalises, hydrates and nourishes. The new keratin-enriched formula: -Give hair vitality. -Help improve the texture of the hair. Uniq 1.What a fantastic product.it does so much. Long lasting Hairstyle. 10 Real Effects -. Easier brushing and ironing. Colour Protects with UV filters. Uniq One's Super 10R Hair mask contains 10 benefits that will make you forget about all other hair masks. This mask works fast and is quickly absorbs in only 3 minutes. It gives powerful, instant colour whilst smoothing hair with an anti-static effect. To use: Wash and towel dry your hair. Ensure you wear gloves. I'M NOT A NEW LISTING I HAVE SOLD OVER 2200 ON EBAY. 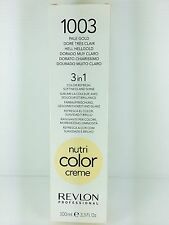 Revlon Uniq One Coconut All In One Hair Treatment 150ml. Free P&P! Let yourself be seduced by the irresistible aroma of cocnut, a delicious fragrance that provides a long-lasting feeling of wellbeing. long lasting hairstyle. hair colour protection/with UVA and UVB filters. 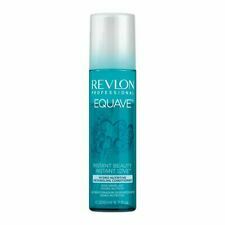 The conditioning power of Revlon Professional Uniq One Conditioning Shampoo leaves hair soft, shiny and silky, so it is easy to comb and style. Directions: On wet hair: 1. Distribute through wet hair 2.